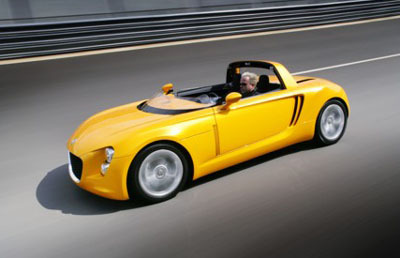 The VW EcoRacer shown at the 2005 Tokyo Motor Show was a mid engine roadster concept used as a test bed for a new advanced technology turbocharged 1484cc diesel engine. The EcoRacers goal is good fuel economy, it does this with the help of a lightweight carbon fiber body - and of course the diesel engine. 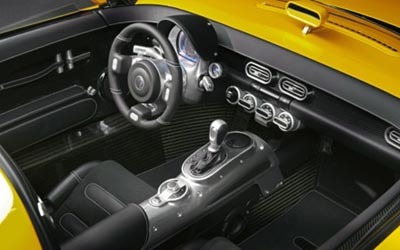 The attractive EcoRacer features a cut down windscreen and open cockpit which can be swapped for a full size windscreen and hard top. The rear of the car features clean 'C' shaped LED taillights set into the body work. 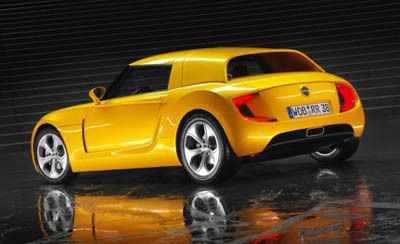 A resemblance to previous VW concepts can be seen in the slatted rear air inlets which are similar to those used on the Volkswagen W12 coupe from 2003.